The foundation of Versalux ethos has remained unwaivering – to offer the highest quality lighting solutions to satisfy even the most demanding projects, whilst maintaining maximum efficiency in function and minimising consumer costs. We have accomplished this goal by partnering with a selection of elite lighting companies from Europe, Asia and even the USA, innovating upon various products from these companies to create exceptional Australian-built products, tailored specifically to perform within the Australian and New Zealand markets. Our customisation approach has produced leading-edge outcomes that ensure Versalux as the forerunner of lighting technology and solutions, while meeting all Australian safety standards and regulations. This factor has contributed to our extensive portfolio of lighting installations throughout a diverse selection of architectural, industrial and exterior projects, further exemplifying the heart of the Versalux philosophy. At Versalux, we provide an integrated approach to lighting design, by assembling a world-class collective of lighting designers, sales engineers and product managers, who are essential in delivering the Versalux expertise directly to the customer. Our professional team epitomise the spirit of the company, where their experience in the field allows for a meticulous understanding of customer requirements. This synergy translates to the application of the most effective lighting solution to satisfy even the most arduous of projects. As Managing Director, I am delighted at the privilege of working alongside such a dedicated and knowledgeable team, who are a continued source of awe and inspiration, as they strive to further innovate in the area of lighting solutions. With technology continuing its upward progression in the modern era, Versalux has been able to excel with every cutting-edge breakthrough within the broad gamut of lighting solutions and design. 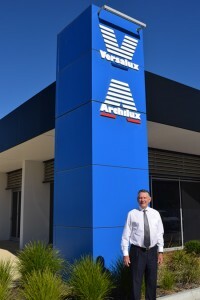 Although having such an extensive history, Versalux continues to evolve to meet the demands of both the Australian and New Zealand environments, and after nearly four decades, Versalux endures as a bastion of industry-leading lighting technologies, and will remain a leader of this field in years to come.